For children of the early 80s to early 90s, there were stories of adventure, fantasy, love and horror. Roald Dahl’s The BFG. Margaret Atwood’s The Handmaid’s Tale. Paulo Coelho’s The Alchemist. Stephen King’s It. A series of stories that stands out is Scary Stories to Tell in the Dark by Alvin Schwartz and illustrated by Stephen Gammell. For Schwartz, he drew heavily from folklore and urban legends as the topic of his stories, researching extensively and spending more than a year on writing each book. Meirick spent nearly four years taking time to focus not just on the books but those who have an attachment to the books. This crowdfunded documentary examines the legacy of the three-volume set, from its influence of generations to its time on the banned books list. It focuses mostly on fan accounts of their favorite stories, memories of the nightmarish illustrations and passing the stories down to their children. Goosebumps author R.L. Stine, folklorist and sociologist Dr. Gary Alan Fine and Schwartz’s son Peter are some of the interviews shown throughout the documentary, getting their take on the impact these stories created. 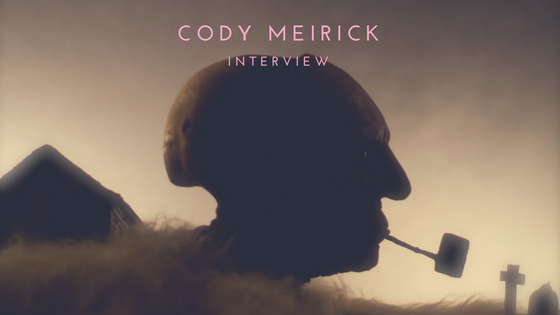 Creating a documentary that touches on a nearly 40-year-old story was challenging and rewarding in the fact that Meirick wanted to focus on pieces he found fascinating but didn’t want his viewpoints to overshadow the overall story he wanted to tell. Meirick saw that there was a story to tell with Schwartz’s writings and Gammell’s illustrations. He wanted to touch on the black and white of those who grew up loving them and those who questioned whether they were appropriate. This documentary was created as more than just a love for scary stories, but as the beginning of a conversation about the issues regarding how books are kept or removed from schools and libraries.